Automation has completely revolutionized the way products are manufactured and handled. Advanced automation systems and robotics are being increasingly implemented across manufacturing industries to accelerate production processes and boost productivity. It is impossible for human workers to work 24/7 and maintain the quality of the production process. Robots, on the other hand, completely outsmart human employees in terms of speed, precision, and performing repetitive tasks with great ease. 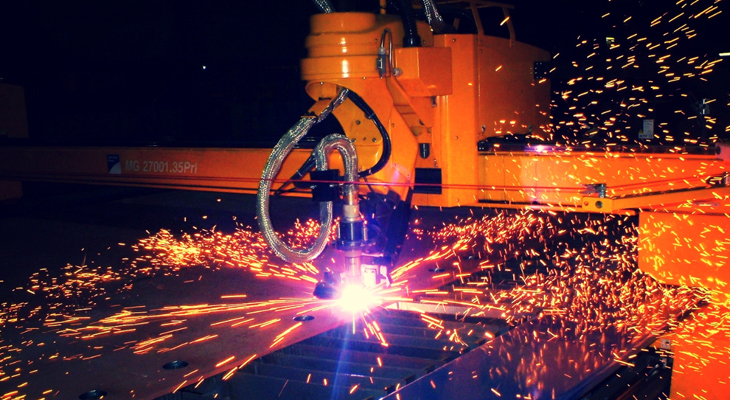 The day is not far when machines will take over and run the entire fabrication facility without any human intervention. 3D printing is a relatively new technology that has had a major impact on the manufacturing industry. It can be used to redesign materials like plastic, concrete, steel, and even masonry. 3D printers are growing in size and capacity following the high demand for innovative products. It is possible now to create and assemble an entire building using 3D printing methods. 3D printing has a disruptive impact on fabrication due to its ability to alter how parts are developed, maintained, and ordered. It can also help fabricators reduce waste and optimize energy usage. Most modern machining techniques have been developed for materials that are difficult to machine. Some of the modern fabrication methods are designed to produce complex shapes and cavities. While electrical discharge processes are limited to metals, ultrasonic machining can be applied to fabricate a broad range of materials: silicon, ferrite, ceramics, glass, germanium, etc. The development of the latest fabrication solutions will open up possibilities for diverse use of materials. With more advanced fabrication practices, manufacturers can utilize innovative materials and lower their dependency on steel. Additive manufacturing and material sciences have made it possible to fabricate materials, which would hitherto have been impractical. Quality Millwright has the technology to produce metal products in a broad range of shapes and sizes. From traditional fabrication services to producing unique metal products or non-standard components, we have what it takes to meet your machining and fabrication requirements. Contact us today to discuss your project!